Swedish Massage, Sports Massage and Shiatsu Massage in Surrey. Here are some of the most common questions new clients ask Daniel before arranging their first visit. Yes. I have an ITEC qualification in both Holistic (Swedish) massage and Indian head massage from the Nature Care College of Complementary Therapies in Guildford. I have a diploma in Advanced Massage from the Nature Care College of Complementary Therapies in Essex. When I was living in South Africa, I qualified as a Shiatsu practitioner at the School of Head and Foot Reflexology. I also have a VTCT qualification in Sports Massage from West Thames College in London. After obtaining a degree from Nelson Mandela University in South Africa, I moved to the UK. In 2008 I became a full-time beauty therapist (I also offer male waxing). I practice from my home between Woking and West Byfleet in Surrey. An Indian head massage takes half an hour and costs £35. 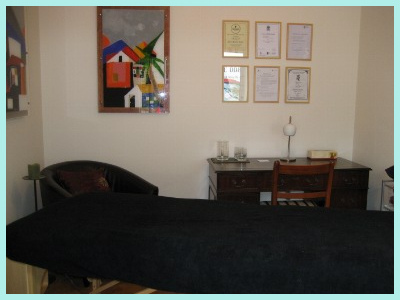 Swedish Massage, Sports Massage and Shiatsu Massage take an hour and cost £75. If you would like a longer treatment (and many people do) I charge £10 for every further ten minutes. So, for example, a 70 minute treatment will cost (£75 + £10) £85 and a 90 minute treatment (£75 + £30) £105. I am also available for "out calls", where I visit your place. Prices start at £150 for an hour's treatment. If you are more than half an hour's drive from my home in Woking then the charge will be higher. How do I get to Woking? Woking is five minutes from junction 11 of the M25 (Woking/Chertsey), within easy reach of Chiswick, Richmond, Barnes, Wimbledon and Clapham as well as Heathrow and Gatwick Airports. Woking is situated to the South-west of London, just outside the M25 and near West Byfleet, Chobham, Guildford, Camberley, Staines and Weybridge and within easy reach of Dorking, Epsom, Farnham, Leatherhead, Reigate, Fleet, Basingstoke, Reading and Windsor. If you prefer to take the train, my home, between Woking and West Byfleet, is 25 minutes from London Waterloo, followed by a four minute taxi ride. Is it quiet where you work? Yes. I live in a private road in an exclusive suburb between Woking and West Byfleet which is a conservation area and has been designated "an area of special residential character". The house backs onto the Basingstoke Canal which is a Site of Special Scientific Interest; it is a haven for all sorts of wildlife including robins, blackbirds, moorhens and swans. The area is surrounded by golf courses and near Horsell Common (which was made famous in HG Wells' book The War of the Worlds). Will I have pay to park? No. I live in a private road between Woking and West Byfleet. There is plenty of free parking either on the gravel drive or outside the house on the road. Are all my details kept confidential? Yes. When you arrive for your first appointment I will ask you to fill out a short questionnaire about your health. Please allow extra time for this. All your personal details, including contact details, are completely confidential. None of your details will be passed to a third party. I use grape seed oil as there's no chance that you will be allergic to it. The oil is warmed before it touches your body, creating that extra luxurious sensous feel. Do you play music during the treatment? You have a choice! I can massage you with background music or relaxing sounds. I have an Ipod Dock with a wide choice of soothing music or sounds from nature (for example waves, surf, birds, a forest, tropical rain or a thunderstorm). Or I can massage in silence if you prefer. If you are coming for a Swedish massage, the oils may damage your clothes when you get dressed again, so please wear something old. If you are coming for a Shiatsu massage please wear loose-fitting baggy clothes. Please don’t wear jeans.